After breaking up with her bad-news boyfriend, Reagan O'Neill is ready to leave her rebellious ways behind... and her best friend, country superstar Lilah Montgomery, is nursing a broken heart of her own. Fortunately, Lilah's 24-city tour is about to kick off, offering a perfect opportunity for a girls-only summer of break-up ballads and healing hearts. But when Matt Finch joins the tour as its opening act, his boy-next-door charm proves difficult for Reagan to resist, despite her vow to live a drama-free existence. This summer, Reagan and Lilah will navigate the ups and downs of fame and friendship as they come to see that giving your heart to the right person is always a risk worth taking. A fresh new voice in contemporary romance, Emery Lord's gorgeous hits all the right notes. Well, goodness gracious. This book wasn't really on my radar until Cass pointed it out to me. I thought it sounded like something she'd love, but it didn't jump to the top of my reading wish list. 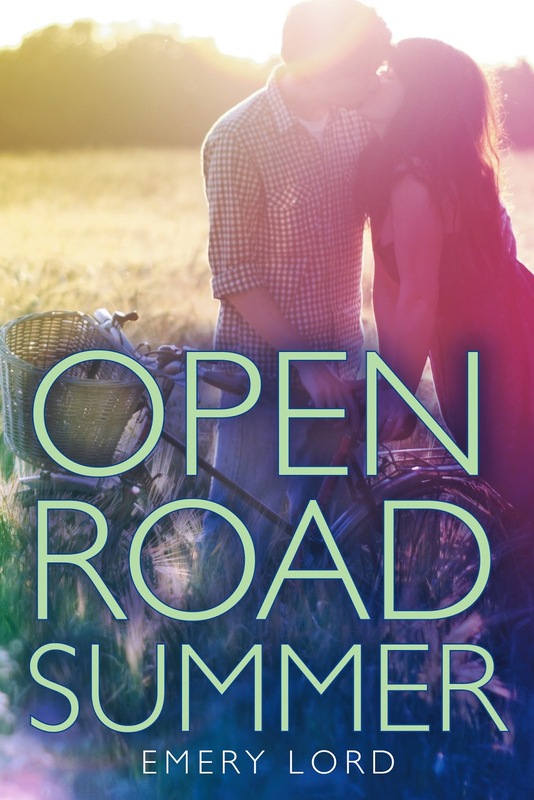 Little did I know, Open Road Summer was soon to become one of my favorite reads of 2014! Books involving best friends? Count me in! There's so much I loved about Reagan and Dee's friendship. Reagan is the wild child, and Dee is the "perfect" one. Reagan's family is complicated, but there's no place like home for Dee. They're opposites in so many ways, but they balance each other out so perfectly. So many books involving female friendships focus on the negatives - fighting, falling outs and frenemies. Open Road Summer was everything I've wanted from book friendships! "I owe Dee for so much, for pinkie links and kindnesses and phone calls and bail-outs. This is the currency of friendship, traded over years and miles, and I hope it's an even exchange someday. For now, I do what all best friends do when there's nothing left to say. We lie together in the darkness, shoulder to shoulder, and wait for the worst to be over." These girls are like sisters, and I couldn't help but admire their loyalty to one another. Even when they argue, you know they've still got each other's backs at the end of the day. I loved reading a book where the friendship was central to the story and was portrayed in such a positive light. Holy guacamole! Matt Finch is definitely making my list of book boys worth swooning over. Sweet, funny, attractive, talented, flirtatious... What's not to love? "His eyes are somewhere between gray and blue, and his hair is somewhere between brown and blond, and I am somewhere between hostile and attracted." I've said it before, and I'll say it again: I can't get enough of relationships that start with a little conflict. Anne and Gilbert. Lizzie and Darcy. Veronica and Logan. HELLO! Butting heads with an undercurrent of attraction? I'm totally and completely sold. So, you shouldn't be surprised that I loved Matt's interaction with Reagan based on the quote I highlighted above. Do you know how much I love Matt Finch? I once wrote a post about my three favorite "types" of book boys, and noted two qualities that went along with each type. I'm not sure how, but I feel like Matt embodied every single one: loyal, patient, strong, steady, playful and teasing. And let's not forget his music! I've never been so disappointed about the fact that an album doesn't actually exist. I've always loved books involving road trips, but traveling the country on buses for a music tour takes the concept to a whole different level. Dee is an up-and-coming country star, and she's about to set out on her summer tour. But it's not all fun and games. "For me, this summer is more than a pleasant detour; it's a necessary diversion. For the past year, I've been stuck in the life of a normal junior in high school, passing the time with people I don't especially like at parties that aren't especially fun. So I made my own fun, and it did not go very well." For Reagan, the tour is an escape from her past mistakes and difficult family life. For Dee, it's taking her away from the people she loves most. They are both experiencing heartbreak, although with different causes, and the tour is an opportunity for them to get away. They may not be able to run from their problems, but the tour offers them a chance to heal. I mentioned in a review before that I usually don't like when emails, texts or lyrics are included in a book. I'm not sure why, but I often find them distracting... or my eyes just kind of glaze over while I'm reading them. And then Open Road Summer convinced me otherwise. "Dee says that phrases in songs are like beads in a necklace – they should stand on their own, but they make the most sense together." Like I said in my previous point, I was actually disappointed that I couldn't go out and purchase these songs! They added so much to the story and held so much emotion that I found myself grinning stupidly at the pages. I actually highlighted a few of the lyrics, and that almost never happens for me. Because Dee is a talented musician, her every word and action is in the spotlight. There's always something threatening to derail her career or ruin her image. The fascination may help sell records, but it also poses a threat when it involves the pressure of constant scrutiny. "For two years, her rising popularity has seemed untouchable. She doesn't have a backup plan. This career is all she's ever wanted or worked for. Her sponsorship, her fan base, her future: it's all hanging in the balance between rabid reporters and judgmental mothers who will refuse to buy concert tickets for their daughters." I liked that the precarious nature of celebrity played a role in Open Road Summer. Our culture has elevated celebrities to impossible heights, and we seem to revel when they fall from grace. It's something that I find so sad! The fickle nature of the public, the challenges and privileges that come with being young and famous and the obsession with celebrities make for fascinating discussions. They're only lightly touched upon in Open Road Summer, but they were still such a nice addition. Ahhh, young love. Are you wondering why I Matt Finch and young love make my list separately? While Matt definitely contributes to the swoon in the book, the portrayal of young love goes beyond that in Open Road Summer. You've got breaking up, trying to get over your first love, flirting, developing a crush, having a fight, feeling betrayed, falling for the wrong person... There's a little bit of everything! "You know what? I think it's the bravest thing in the world... to run straight at love, even knowing how badly you could get hurt." Don't you just love that quote? To love anything is to open yourself up to risk. It's brave and beautiful. I loved that you get all these tiny glimpses at the different stages of young love in a single book. I think most people will find something they can relate to in this story for that fact alone! Reagan hasn't had a great experience with girls. She's got her best friend, sure, but she doesn't really care for anyone else. She's been the subject of gossip and ridicule, and she covers up her hurt in a variety of ways. "I grew up in a minefield of mean girls, and their snarky shrapnel made me bionic." My mom has talked to me before about what she calls the cycle of rejection - how when someone hurts or rejects you, it's easy to then turn around and hurt or reject that person or someone else like them. It's not always on purpose. Sometimes, the instinct to protect yourself, to hide your hurt, results in passing that hurt onto the ones who have hurt you or others who represent that hurt. It's something I noticed with Reagan, and I loved the way Emery portrayed it (even if it was painful to read at times). Girls have said horrible things about Reagan, and she's been the subject of their judgment for years. And it's something that she then turns around and does to others. She's been rejected, so she rejects others. It seems so hypocritical, right? To shame others with the same accusations that have been hurled at you. While I wish it wasn't that way, I can't deny that it's so common (at least in my experience). Someone has to be able to break the cycle, but it takes maturity and time. Being able to stop perpetuating that rejection won't happen overnight, which is why I thought Reagan's characterization was so realistic. It's not the ideal world or behavior, but that doesn't mean it shouldn't be portrayed. It's a delicate balance - to create a rejected character who rejects others while still making them someone a reader is invested in and wants to see prosper. For me, Emery totally succeeded. I didn't necessarily like everything Reagan said or did, but I still loved this book and this character. I could totally see an adult Reagan doing better, breaking the cycle, but I understood why she wasn't able to during Open Road Summer. I know I had way too much to say about Open Road Summer, but it's only because I loved it so much. But there's still so much to discover for yourself! I immediately pre-ordered this book when I finished the review copy, and I did a little happy dance when it showed up at my door yesterday. In Open Road Summer, Emery Lord has written a story about loyalty, love and loss... and all the complicated things in between. This book has so much heart, and you don't want to miss it! I was enchanted by the characters and their stories, and I can't wait for more readers to discover this talented author in her incredible debut. "If we could capture feelings like we capture pictures, none of us would ever leave our rooms. It would be so tempting to inhabit the good moments over and over again. But I don't want to be the kind of person who lives backwardly, who memorializes moments before she's finished living in them." *I received a copy of this book from Bloomsbury in exchange for an honest review. I was not compensated in any way for my review. I've been searching on twitter for reviews of Open Road Summer and your blog was one of the first that popped up! 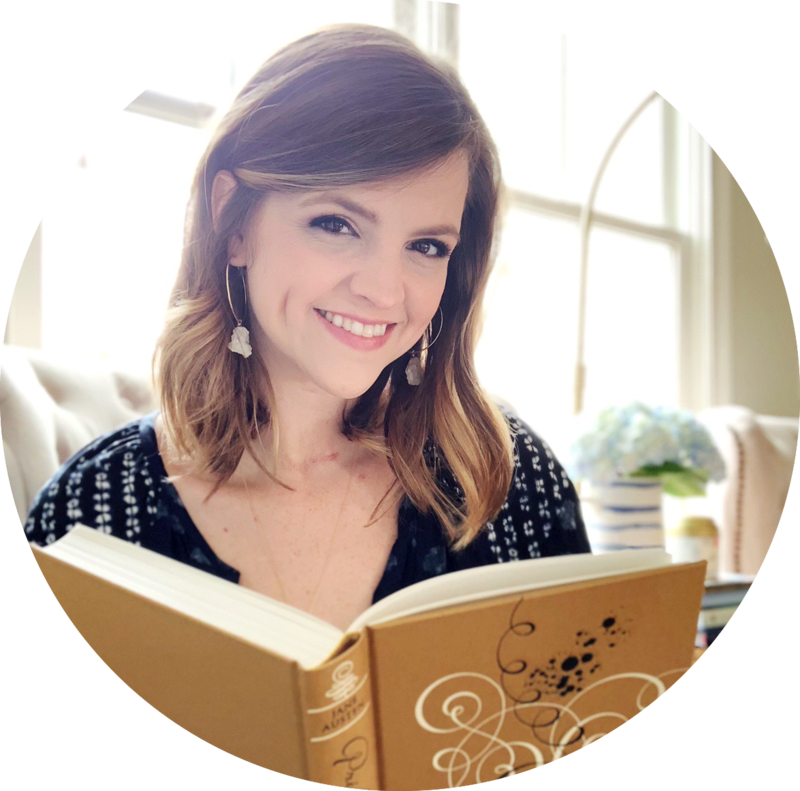 I loved your thorough enthusiastic review, it definitely sold me :) I don't read a lot of contemporary but the kind I like is definitely the sweet, romantic, fun friendship variety and this sounds perfect. Plus who doesn't love a little celebrity culture?! Your blog is great, I clicked around on a few other reviews too. Really excited to buy Open Road Summer now! Oh I love that you were searching for reviews on Twitter AND that you found mine! Mostly because I just loved this book so much that I'm really glad I helped sell you on it :) It's basically everything I love about good contemporary books. And thanks so much for the kind words about my blog! Hope you love Open Road Summer! YES, KELLY. I loved it that much. Go forth and read it! Basically, your review is PERFECT. I agree with every. single. word. You expressed all the positive feelings I have about this book so wonderfully! Basically, you are the sweetest! Great review (as always!). I agree with everything you said, this is such a great summer book, but it's also like 100 things more. And I love all the quotes you pulled out, they make me want to go back and re-read this! Oh thanks Maggie! Yes, it really is the perfect summer book and so much more! I didn't expect the "so much more" part and that made me love this all the more. And listen, pulling those quotes basically made me want to re-read this immediately. yesss I loved what you said about the cyclical nature of mean girls!! SO WELL PUT. I loved Reagan so much and I know people don't always love her but I think she is SUCH a great character bc her actions are reflective of her past but she's also trying, y'know. YES! That's the one thing I wish some more people took away from reading this book. I've seen negative comments about Reagan and I get it, but I wish more people saw that her actions are such a reflection of her past. Because it's such a great illustration of how your actions/words can impact others. Okay, so this one is way way hyped and because of this, I've only read this review. Which is a good thing because it is a really good one. I know now that I DO ACTUALLY want to read it based on the fact that it has all of these really great things that I love in stories on the inside of it and not just because it is hyped. So THANK YOU for writing a great review. As soon as I am beyond the hype-ness, I want to read this bad boy. Also, it looks so pretty! Great review, I really loved reading it. Especially #7, the mean girls part. That is SO TRUE and even as adults it is a real thing and WOW I can't wait to read how this folds into the story. Yes, this one has definitely been way hyped. 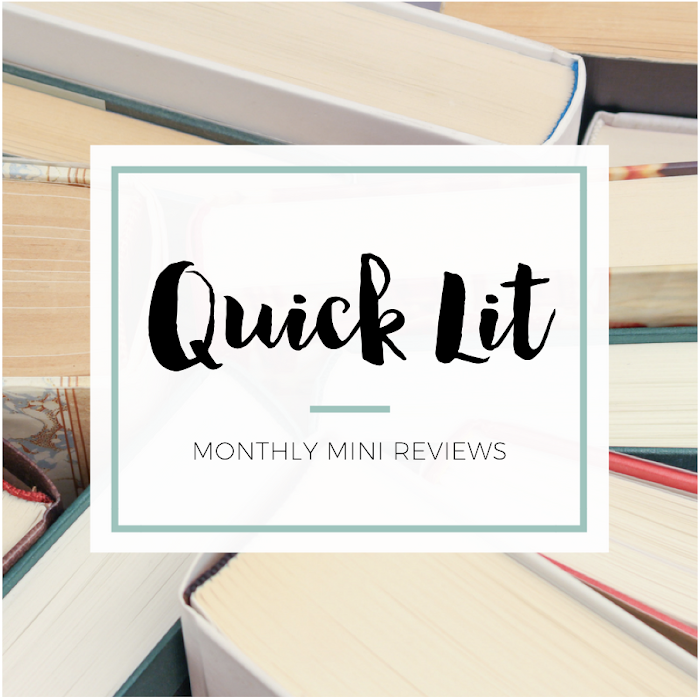 And 1) I know you typically avoid those til the hype dies down and 2) woah compliment that you read my review only :) I'm seriously tickled pink that my list helped confirm you DO want to read this book. It's one I could really see you loving! And duh, I'd totally want to talk with you about it and gush in the comments of your review of it. Or, you know, thoughtfully chat with you if you didn't love this one. And yes, #7 was one of my favorite things about the book (even though it was sad to read sometimes). It's definitely true even as adults! I see it a lot unfortunately. Okay, go read so we can discuss! Great great breakdown of this book. Just finished it a few days ago and I feel like it's going to be a favorite for a really long time. Loyalty. Gosh it is hard to read about re: friendships and I was crying a lot. A lot. Like people around me probably thought something was wrong with me. I'm not even sure I was supposed to cry as much as I did. I was amazed at how close to perfect this book was too. There was maybe ONE thing I would have changed but other than that I was like how is Emery so amazing?! How is she saying beautiful things but making me laugh and cry and want to listen to a country song and getting the famous aspect down??? How did she do it all. You can tell the book was a labor of love and she fully developed EVERYTHING. Okay I'm yelling in this comment because I want to reread this. It totally deserves all the praise + eee what a great review, H. You cover everything. I'd seen this book pushed out there for a while and then when I got your blog in the inbox it was there with about 50 other things so, I confess that I just scrolled to the "obsessed with" and then went over to my library app and finally requested it without reading the review. (sorry bout that) ...but I LOVED the book. I loved the characters and then I laughed out loud when I saw your #4 because I thought the exact same thing. I usually get annoyed by lyrics in books and feel like it rarely sounds like it could be a real song. I wondered how the audiobook did them and if they tried to put any to a melody. I have never had any desire to go on tour, but I want to go back and convince my 17 year old self to now. Did you think they might get caught and the media would turn on Reagan and Matt? I am so glad it wasn't that story! Hannah! Your review is everything I wanted to say and more. You described everything SO PERFECTLY. Dee and Reagan's friendship is one of the best I have ever read about, and I just love books that focus on the good sides of friendships. I also adore Matt Finch and mostly the connection he and Reagan had over the loss of loved ones. They have both been hurt, but they find a new home with each other. (Also, don't you just love Dee and Jimmy? Their relationship was beautiful in a different way.) And what you had to say about Reagan is just incredible. I don't think everyone will just accept Reagan, but she has been hurt too, and I thought her characterization was only natural. Wonderful, wonderful, wonderful!